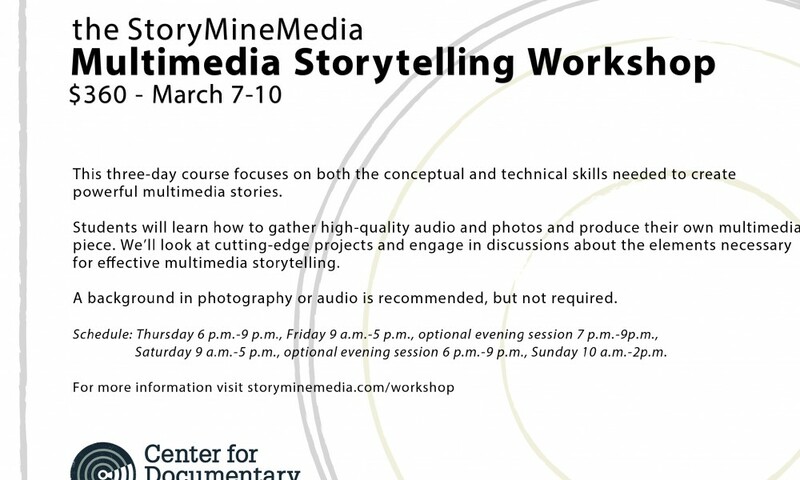 StoryMine will be teaching a workshop at the Center for Documentary Studies at Duke University in March. To learn more and for registration information, check out the the CDS Continuing Studies website. 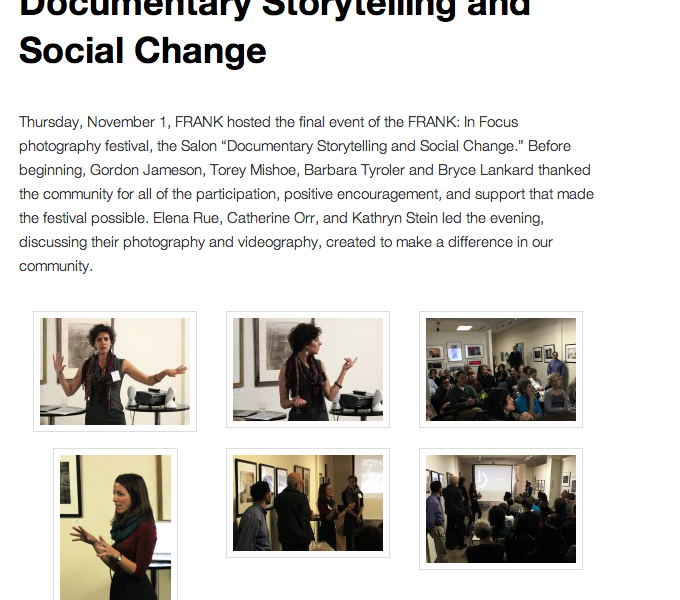 We had a great time presenting during the FRANK: In Focus photography festival alongside Kathryn Stein, a documentary artist and UNC Masters in Public Health candidate at UNC Chapel Hill.